Back in September, the owner of our site, www.tipsfromthedisneydiva.com, asked us writers if any of our kids had applied for the Disney Dreamers Academy. I already knew a little about the Disney Dreamers Academy as in the last couple of years, more Disney fan based sites had been posting about it. I had asked my oldest son if he would be interested in applying in previous years, but for some reason, he never took the application plunge. When Pixie Dusted Diva asked us about it, I broached the subject with my youngest son. He wasn’t exactly sure what the Disney Dreamers Academy was, so I showed him the website and explained what I knew to him, as I will now do for you. 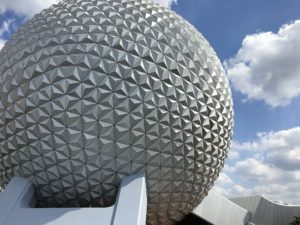 You can check out in-depth details on the website, www.disneydreamersacademy.com, but for now, I’ll give you a run-down. 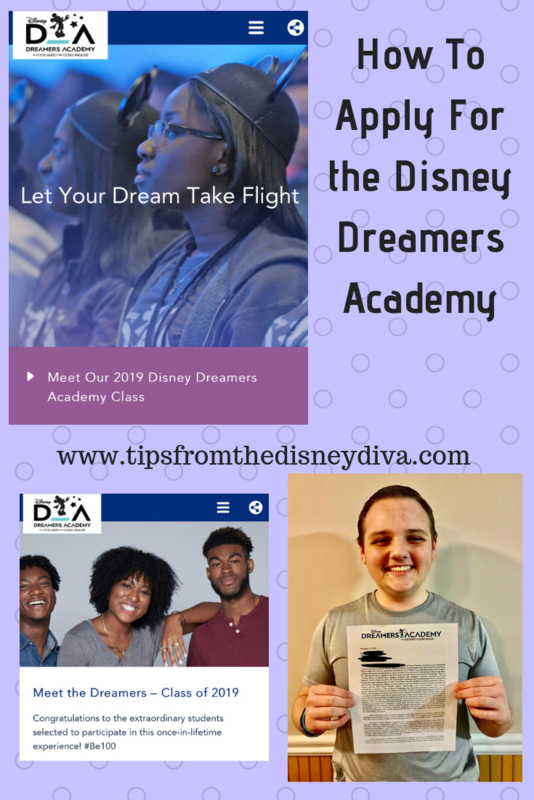 2019 will mark the twelfth year for the Disney Dreamers Academy. The applicant’s must be between the ages of 13-19 years old and must be in high school. 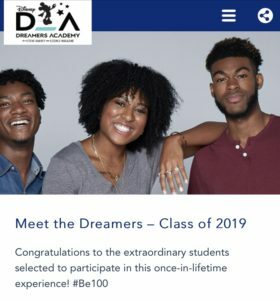 There is no academic requirement to apply to attend the Disney Dreamers Academy, but the main requirement is that the teen must have a dream or a goal for after high school and/or college that they are working toward. 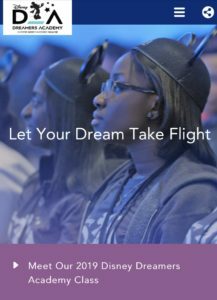 The Disney Dreamers Academy is a four-day conference hosted and sponsored by Disney, Steve Harvey and Essence Magazine. 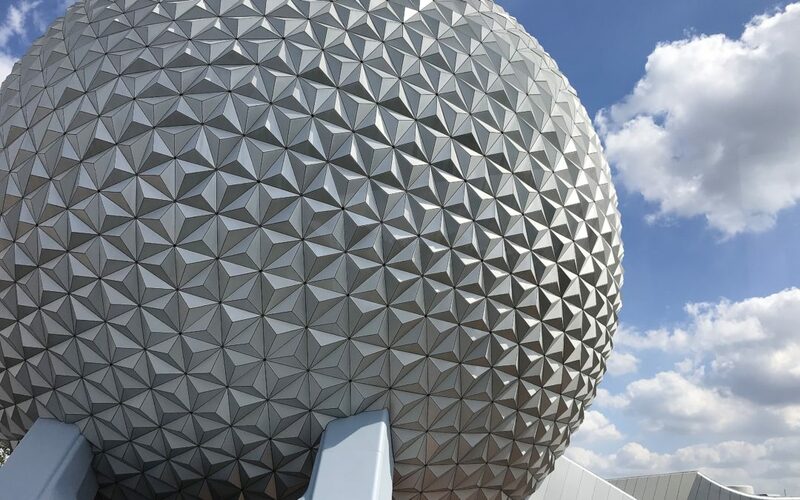 From what I understand, the event will take place in Epcot. There’s never been an actual number telling how many applications are received each year, but there is a video of Steve Harvey at a conference where he mentioned 10,000 students applied. Out of the thousands and thousands that apply, only 100 students are selected each year to attend the Disney Dreamers Academy. If that number of 10,000 is correct, that means only 1% of applicants are accepted each year. If selected to be a Disney Dreamer, the student and one parent or a guardian will receive an all-expense paid trip to Walt Disney World where the Disney Dreamers Academy will take place. 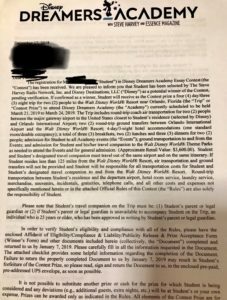 This included air fare if the student lives too far to drive, a stay at an on-property resort of the Academy’s choosing, meals and park tickets. What can the students expect at this four-day conference? 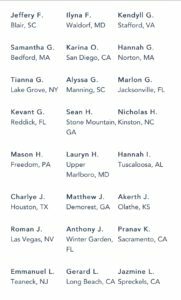 First of all, they can expect to meet 99 other amazing teens who also have a dream or goal for their life they are working toward achieving. They can expect to hear from several inspirational and motivational speakers, such as Steve Harvey himself, who themselves have achieved great success. In previous years speakers have included celebrities such as Michael Strahan, Carla Hall, Magic Johnson and Patti LaBelle. These speakers work hard to inspire the 100 teens to stay true to themselves while working hard to achieve their goals. The teens can expect the four days they are at Disney Dreamers Academy to be filled with activities that will not just motivate and inspire, but also teach them along the way. They will be divided into groups where they will be sent into deep-dive sessions. In these sessions, they will meet with a Disney Cast Member who works in the field the students may be interested in, such as Veterinarians, Chef’s, entertainment or even an Imagineer. In this group session, they will be given projects they can work on as a team. If the students are working toward possibly being an Imagineer one day, perhaps the project would be to design their own dark ride. It’s challenging and exciting as well as great fun for the students. They will also have a session where they are taught how to dress for success. Let’s be honest, teens aren’t always dressed to impress for a job interview. This session will teach the students the importance of first impressions and how to dress to impress. Oh, and there will be a little bit of down time at the parks to enjoy a few rides. 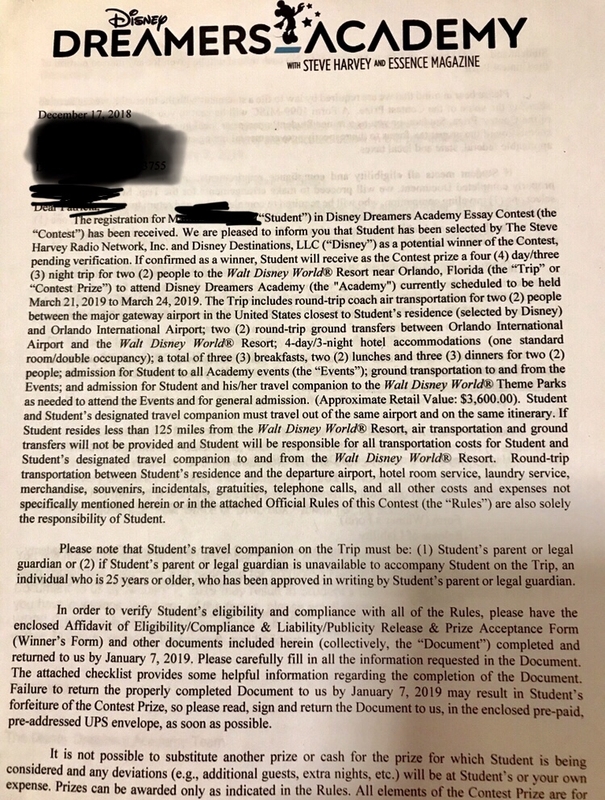 I won’t lie, from all I’ve seen and read, there won’t be a lot of ride and attraction time for the students, but there will be some, so don’t worry. I don’t have much information on what parents or guardians can expect their days to be filled with, but rest assured, when I do find out, I will be passing the information on to you. Honestly, I’m sure there are so many things I’m leaving out that the teens can take away from the Disney Dreamers Academy, but as my kids have never attended before, There is a lot I simply don’t know. What I do know is what you should expect from the application process. Previously, between the first week of August and October 31, the application to become a Disney Dreamer will open on the Disney Dreamers Academy website. There will be a link to take you directly to the application. First the applicant will need to enter the necessary contact information along with things like age and their parent or guardian contact information. There will be three rapid-fire questions for your teen to answer, which are basically just short answer questions to find out a little about your teen. After the rapid-fire questions, there will be three essay questions. This is where your dreamer can really let their light shine. It’s through these questions and answers that your dreamer can let the Academy know what their dream is and how much work they are willing to put into that dream. In my son’s case, his dream is to be a lighting designer. He has had this dream since he was 11 years old and he has had the opportunity through our church to learn the craft of creating ambience on the platform or stage through lighting designed to stay in sync with the praise team. He is VERY passionate about his craft and he made sure to make that passion shine through in his essay answers. If the applicant needs to take their time on these questions or wants to think on a question and then come back to it, don’t worry, all the information will be saved and they can come back to it later. Once the application is submitted, there will be an email stating that the application has been received and will be reviewed. Then the waiting begins. Honestly, we had given up hope. We never heard anything else, so I assumed my son would have to wait and apply again for the next one. Then we received a Christmas miracle. It was on the last day of school before our winter break that I walked out into my garage and discovered UPS had dropped an envelope off addressed to me. Confused, because I wasn’t expecting anything, I looked at the sender address. It was addressed from WDW Special Events, which made me think something may have happened with my next Disney vacation. 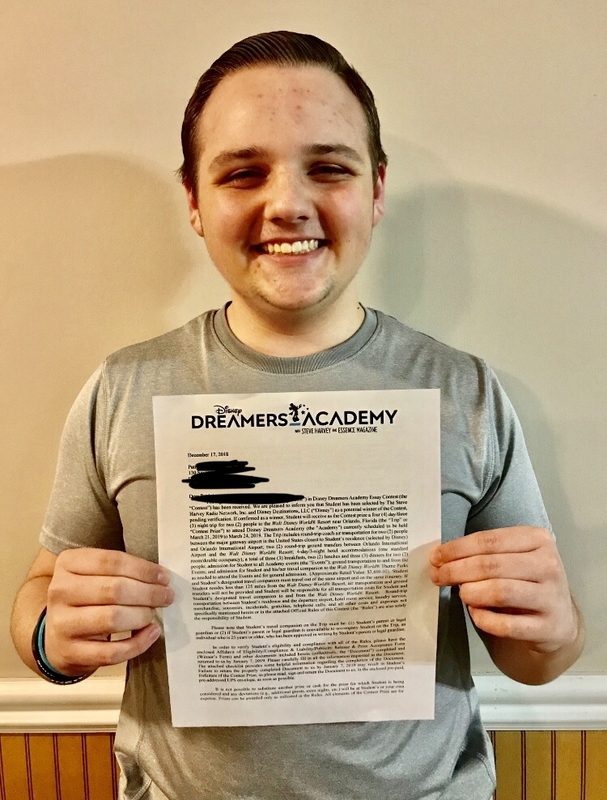 Imagine my surprise when I opened it and pulled out a packet with a letter attached saying my son had been selected as a potential winner for the 2019 Disney Dreamers Academy! He was shocked and beyond excited as he read the letter. 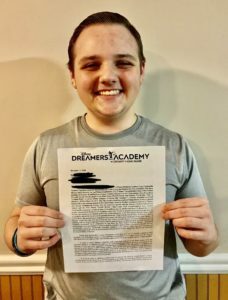 We could not believe that out of the thousands who apply, my son gets to be a 2019 Disney Dreamer. 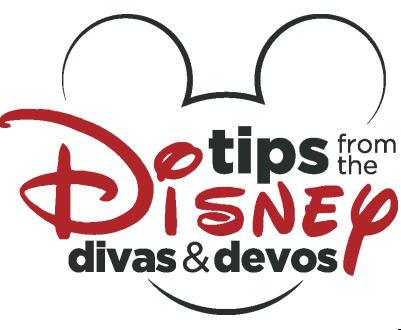 DIVA TIP: If your dreamer applies and is accepted, do NOT post anything on social media until the official winners list has been posted on the Disney Dreamers Academy website, this is a clause in the contract and I would hate for your student to lose out because they didn’t see this rule. Once the list of winners is posted, feel free to brag on your dreamer anywhere you want! This is the application process in a nutshell. I highly encourage you to encourage your dreamer to apply when the next round of applications opens for the 2020 Disney Dreamers Academy. 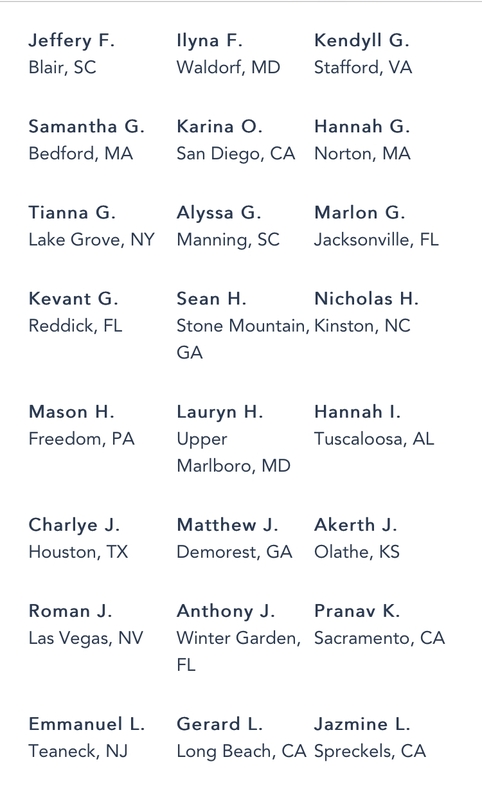 In the meantime, stay tuned for an update, because the 2019 Disney Dreamers Academy takes place from March 21-24, 2019, and I fully intend to report all I can learn from it as my Disney Dreamer and I attend with 99 other amazing teens from around the United States.